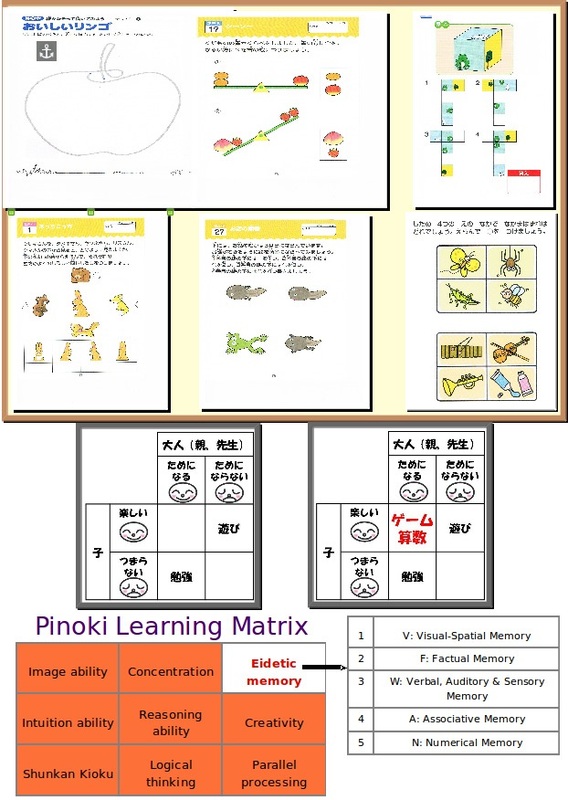 Pinoki Brain Training Method is a brain training method developed in Japan by Dr. Tan Kok Liang (PhD, Artificial Intelligence, Incremental Learning and Biomedical Imaging, Keio University, Japan) upon inspiration by artificial intelligence researcher at Keio University, Master Yuji Kitazawa (M.Sc. Eng.). 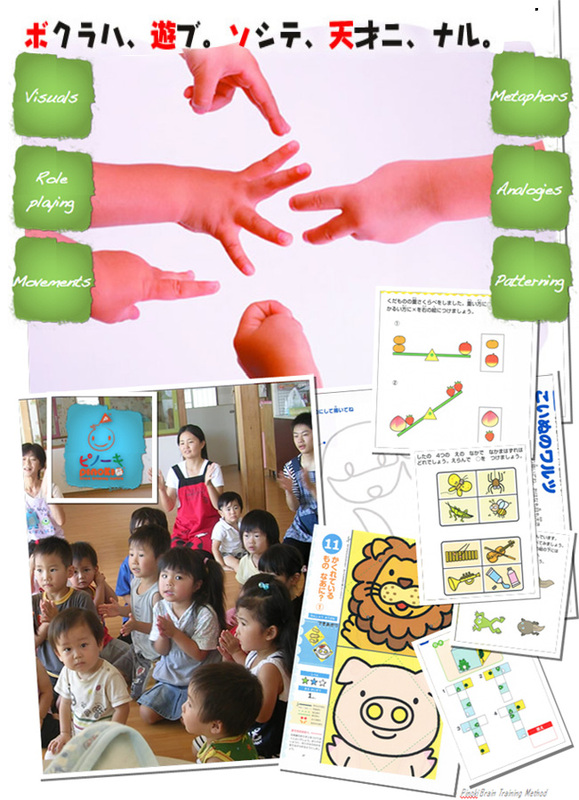 The goal of Pinoki Brain Training Method is to induce self-taught and self-learning behaviour [自学自習 (“jigaku jishu”) in Japanese] in young children. Dr. Tan was a straight-A student. Throughout the years of his study, he has developed a method so called Mental Note and he used it to score in examinations. Mental Note is a kind of image-based noting system that uses Photographic Memory. On the other hand, Master Yuji Kitazawa is someone who possesses Perfect Hearing and extremely keen auditory sense. He is able to learn a new language in a short period of time by mimicking sound, accent and speech since young. He could visualise musical notes when he listens to music. The two met in Keio University, Japan, and an exchange of knowledge, methods, experiences, ideas and learning behaviors took place. From the perspective of neuroscience to artificial intelligence, the subjects of how to make a robot learn and auditory memory had always been the topics of discussion between the two. All of these inspired them to think of the whole mechanism of how a baby, a toddler, a preschooler and eventually a person learn. Meanwhile, the witness of the similar qualities of memory among Dr. Tan himself and other top scholars from around the world at Keio University encouraged him to further analyse the underlying learning behaviour that produces those similar traits of memory, spontaneity and multi-dimensional visualisation particularly when it comes to understanding more abstract knowledge. With more than 10 years of research, Dr. Tan developed a brain training system, named Pinoki Brain Training Method, that aims at facilitating more frequent and more specific use of the left and right brain. Brain grows by use. Therefore when kids get more opportunities to exercise certain parts of their brain, more synapses will be established especially in, but not limited to, those areas of the brain, and a skill will gradually be developed. However, a skill is different from a ‘neural habit’ or thinking habit. Kids who get to use their brains more regularly through brain ‘workouts’ that are designed to target the different functions of the brain are more likely develop high-mental-function ‘neural habit’. When a high-mental-function ‘neural habit’ is developed, the process of thinking and remembering will become so spontaneous that the ultimate self-taught behaviour will take place automatically. "I hope my daughter can score straight As in SPM and get JPA scholarship." "My daughter scored straight A's in UPSR and PMR but she scored only 5A's in SPM, why?" Why are there so many students who scored straight As in UPSR and/or PMR but failed to do so in SPM and STPM? In fact, SPM and STPM are the two most important examinations that determine whether the students can gain admission into university, choose the course they prefer and get sponsored by the Malaysian government for studying abroad in UK, Japan, Germany, USA and so on. "Maybe my son is too stressed out ... too many subjects to cope with ..."
The first two subjects that most preschoolers start learning are language and Mathematics. Many of them do well in those early years. However, as they grow up and go further along the education pathway, they are required to study more subjects. Their academic results start to deteriorate. Parents would rationalize this scenario by telling themselves that their children are too stressed out by too many subjects and finally the children give up. Most of these children want to achieve good academic results as much as their parents do but their brain is just overloaded by too many vocabularies, formulas, equations, images, figures, facts that they have been trying to memorize. Unknowingly, they find themselves spending hours and hours studying like they did back in the time of UPSR or PMR but just can't score A's. This frustration finally destroys the students' interest in study. The Pinoki Brain Training Method is an advanced program that is supported by Pinoki Research and Development who develops brain training exercises and technology. The method empowers students' brains using fast multi-sensory and imagery exercises. A well-trained brain is very friendly to figures, images, formulas, facts, sequences and particularly abstract knowledge which is one of the most important criteria for scoring A's in examinations. How can my children maintain their grades when they grow up? How can my children maintain their grades when go further along the education pathway? How can my children develop eidetic memory skills for examination? How to train the brain so that both sides of the brain can be activated when studying for a subject? Eidetic memory is an ability that most if not all of the straight-A students possess.It is a set of memory skills that can become very powerful when it is used together with the left-brain abilities. 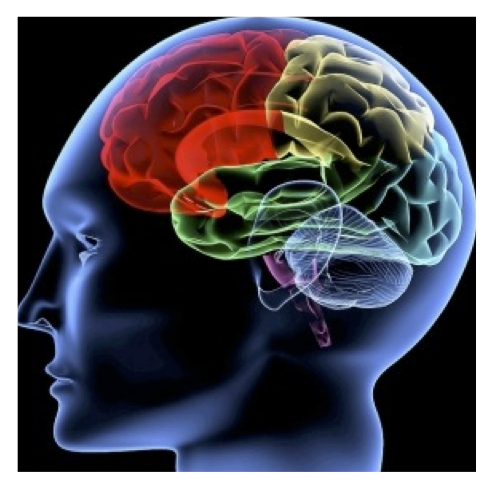 Eidetic memory skills can be trained and improved for achieving higher scores in examination. The earlier kids are exposed to eidetic memory training, the better and stronger eidetic memory they will have in future, and the more likely they can become high achievers. Why can't kids learn eidetic memory skills in school? Unfortunately, schools tend to favor left-brain mode of thinking. It is very hard to promote the use of both sides of the brain in schools owing to the rigid educational system. How do I know my children are using the wrong set of memory skills? How do I know I am using the wrong set of memory skills? 2) the time taken for revising or revisiting the knowledge after you forget it. If students use the wrong memory skills, they will find it harder and harder to memorize the knowledge in all the subjects they are taking (UPSR, 6 subjects, PMR, 8 subjects, SPM 10 subjects). They will find it very difficult to organize the knowledge they have memorized. Audio-based eidetic memory ability helps children to develop alternative vision using the mind's eyes. Master Yuji Kitazawa has many years of experience on how to improve audio-based eidetic memory skills. With audio-based eidetic memory skills, not only can he play a piece of music, even a long composition, after hearing it for a brief time, he is also able to learn a new knowledge, be it learning a foreign language or visualizing a mathematical argument, faster than normal people. Dr. Tan Kok Liang has experience scoring straight A's himself in the country's national examinations using visual and audio-based eidetic memory skills . He gained admission into the University of Malaya (one of the most competitive universities in Malaysia) with 99 points out of 100. He graduated from the University of Malaya with a CGPA among the top 2% in 2004. Because of his eidetic memory ability, not only did he excel in academia, he also thrived in extra-curricular activities like piano playing, song composition, music arrangement and table tennis playing. He was offered three prestigious international scholarships for his achievements: American Fulbright Scholarship, Japanese Government Monbukagakusho Scholarship and German DAAD-Siemens postgraduate scholarships. He graduated with a doctoral degree in Artificial Intelligence and Biomedical Engineering from Keio University, Japan in 2010. The theory of the structure and functions of the mind suggests that the two different sides of the brains control two different "modes" of thinking. It also suggests that each of us prefers one mode over the other. 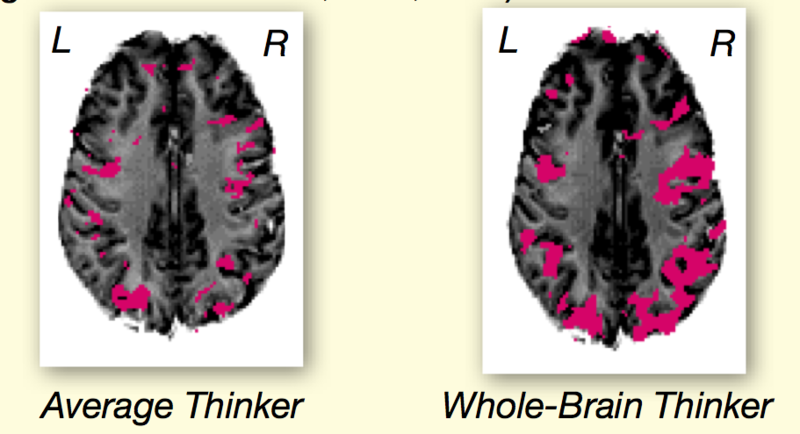 In general, schools tend to favor left-brain modes of thinking, while downplaying the right-brain ones. 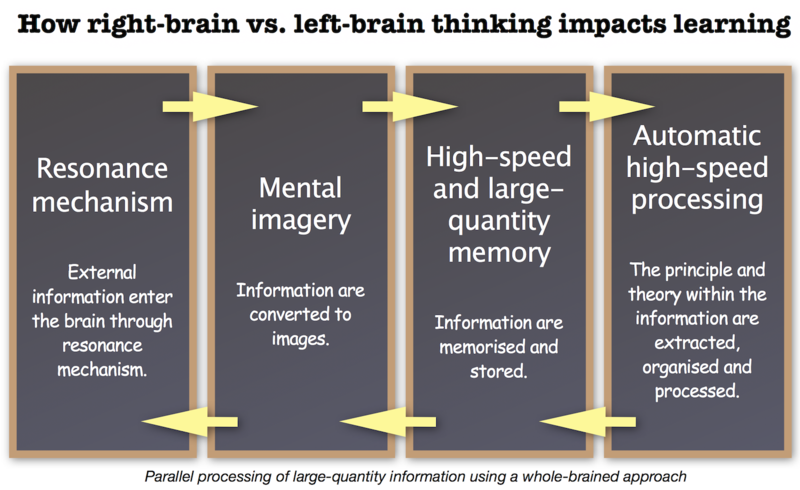 Left-brain scholastic subjects focus on logical thinking, analysis, and accuracy. Right-brained subjects, on the other hand, focus on aesthetics, feeling, and creativity. .
Curriculum - In order to be more "whole-brained" in their orientation, kids need to be given equal weight to the arts, creativity, the skills of imagination, synthesis and mental imagery exercises. 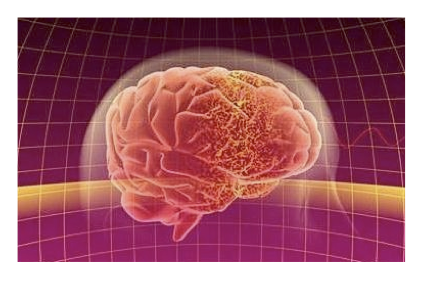 The optimal potential of the brain can only be induced with the balanced use of both sides of the brain. Instruction - To foster a more whole-brained scholastic experience, educators should use instruction techniques that connect with both sides of the brain. They can increase their classroom's right-brain learning activities by incorporating more patterning, metaphors, analogies, role playing, visuals, and movement into their reading, calculation, and analytical activities. On top of all, right-brain exercises should be implemented frequently so that students can slowly adapt to using both sides of thebrain. 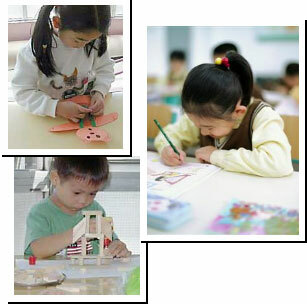 The right-brain exercises should focus on improving the students' image recognition ability, concentration, intuition ability, eidetic memory ability, creativity and ability to do parallel processing of information. Assessment - For a more accurate whole-brained evaluation of student learning, educators must develop new forms of assessment that honor right-brained talents and skills. 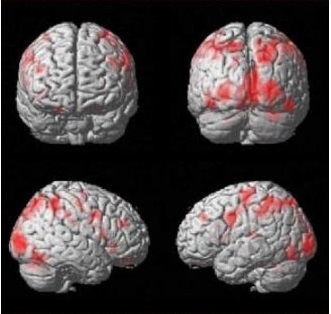 What researchers say about the brain? "The use of neural network in machine learning and image recognition proves that with proper training, the human brain is capable of doing parallel processing just like the computer"
"The capacity to generate and analyze mental visual images is essential for many cognitive abilities including problem solving and test taking." ~A. T. Sack, PhD, Department of Cognitive Neuroscience, Maastricht University, Netherlands. "Various studies have demonstrated the interaction of mental imagery with other cognitive processes, including language, visual perception, and memory ..." ~Abimbola Pratt, PhD, Brown University, USA. "Visual mental imagery, or 'seeing with the mind's eyes', has been the subject of considerable controversy in cognitive science. ... with the generation of mental images from memory depending primarily upon structures in the posterior left hemisphere, and the rotation of mental images depending primarily upon. 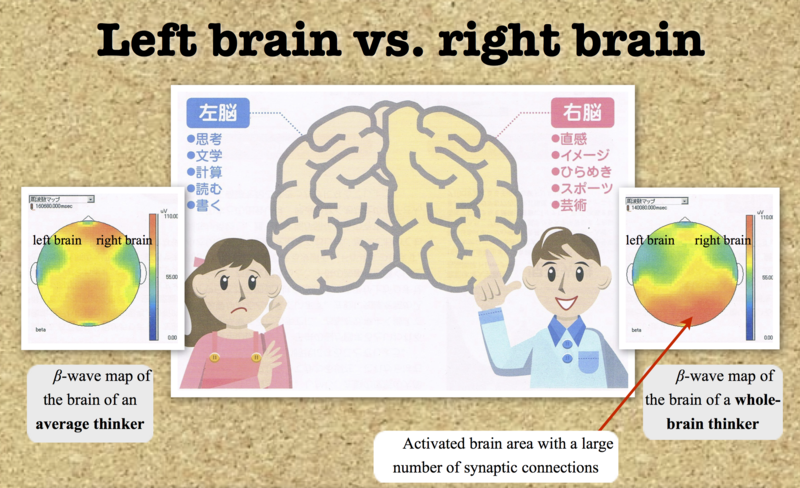 Why brain training classes keep growing in Japan? Humans inhabit the earth for thousands of years but we only know the 90% of our brain in the past 10 years owing to the advancement in neuroscience research. In recent years, Japanese educators have been debating on how the increasing amount of curriculum in school would destroy children's interest in learning. 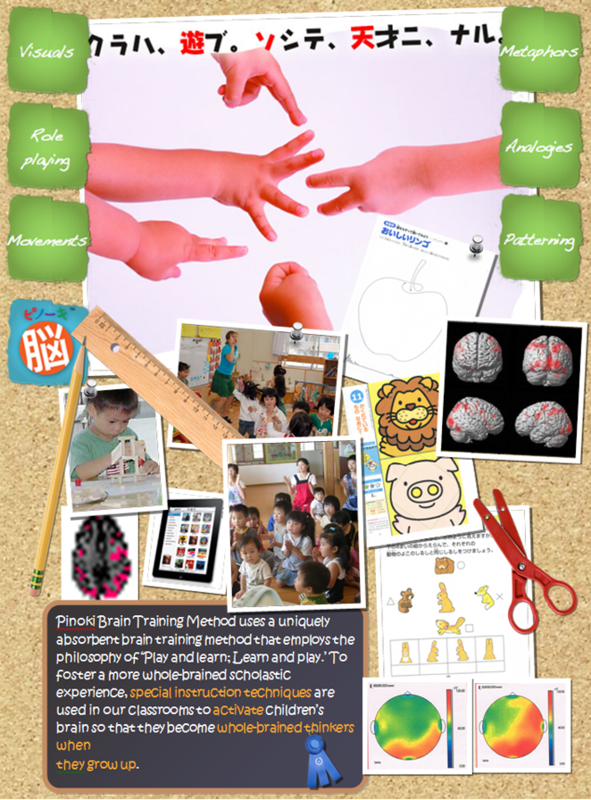 The controversy has led to a scenario where many Japanese primary schools start implementing brain training classes. The purpose of the classes to help the children to realize their hidden potential so that they are able to study under less stress and yet maintain good grades in examinations. Nowadays, special memory and brain training classes are gaining tremendous momentum throughout Japan. Reports show that students who have taken brain training lessons achieved, in average, better results compared to students who have not or do not in all national examinations. Suzuki Ichiro, a world renowned Japanese baseball player who is famous for his batting world records, is a genius who has captured the hearts of many Japanese for his determination and extraordinary abilities. His name always appears in books that are related to right brain training because he has been undergoing right brain and concentration training since he was about 3 years old. Nowadays, not only has he become a role model for young children to follow, he has also inspired many adults to realize the importance of the use of right brain for higher achievement in life. Ichiro's right brain IQ was once tested through a test called the momentary lapse of concentration test. Results showed that his right brain IQ surpassed normal people by approximately 33% (see right figures). 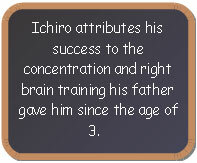 Why Ichiro's father trained his son from the age of 3? Why start early? Neuroscience research concludes that the best brain period for learning is from the age of 0 to 10 because neuron density in human brain decreases as we age. Besides, human synapses density in the brain reaches the peak between the age of 3 and 7 (see right figures). Pinoki Brain Training Program is a product of the collaborative effort between Master Yuji Kitazawa and Dr. Tan Kok Liang. Both of them graduated from one of the most famous universities in Japan - Keio University. Owing to Master Yuji Kitazawa's eidetic memory for music, he is able to not only hear but also 'see musical notes' of a piece of music with his mind's eyes. He can play a piece, sometimes even a long composition, after hearing it for a brief time. His eidetic memory ability was soon extended to the realm of study when he was a junior-high-school student. He has published a number of academic papers in the field of artificial intelligence. On the other hand, Dr. Tan Kok Liang was a straight-A achiever and the Japanese Government Monbukagakusho Scholar. He knows better than most people on how to use eidetic memory to score better results in examinations. The Pinoki Brain Training Method is designed to induce eidetic memory ability in kids in their early years through left and right brain training. On top of that, bundled with Pinoki Research and Development, the materials used in the program are created, developed and updated PhD graduated from Japan. Besides paper worksheets, Pinoki's Brain Training Program emphasizes on multi-sensory memory games and critical thinking exercises. Pinoki's memory games induce learning interest in children and help them to develop eidetic memory ability, better concentration and activate their hidden potential. Competition is a contest between individuals, groups, nations, animals, etc. for territory, a niche, or a location of resources. It arises whenever two or more parties strive for a goal which cannot be shared. Competitiveness is one of the most vital traits to succeed in life. The most effective way to induce kids' competitiveness is through games. Pinoki Memory Gym consists of a series of diversified brain training games that not only help to instill competitiveness but also enable kids to make quantum leap in using both sides of the brain. Teamwork is work performed by a team. In real life, the spirit of teamwork is one of the many good qualities that an organization looks for in an individual. 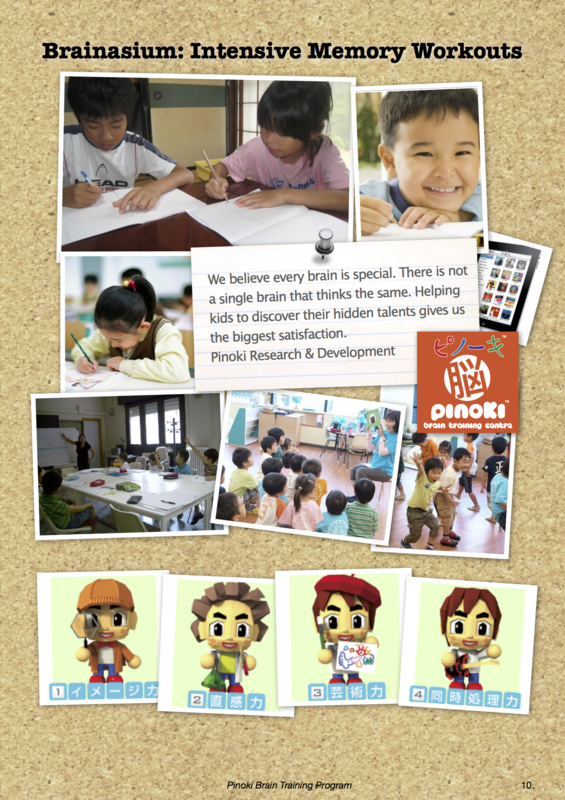 Through Pinoki Brain Games, kids learn on how to carry out a task or achieve a goal in a team.